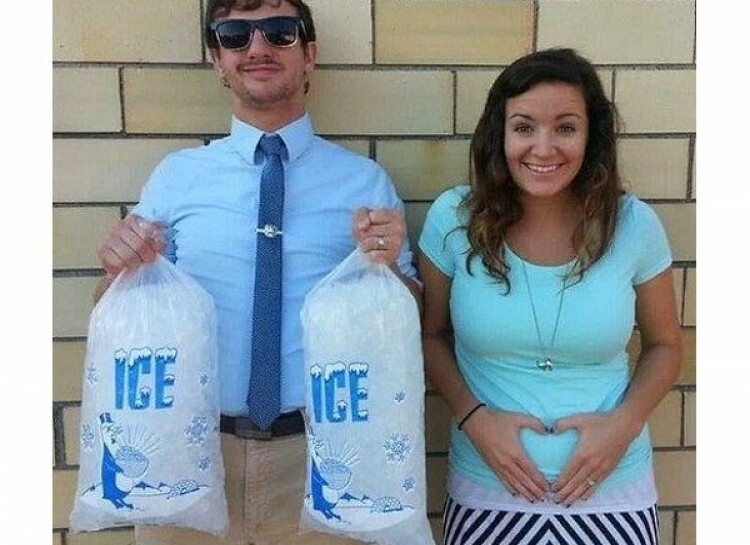 You only get one chance to announce your pregnancy! It should be special to you, and eye catching to your social media following! 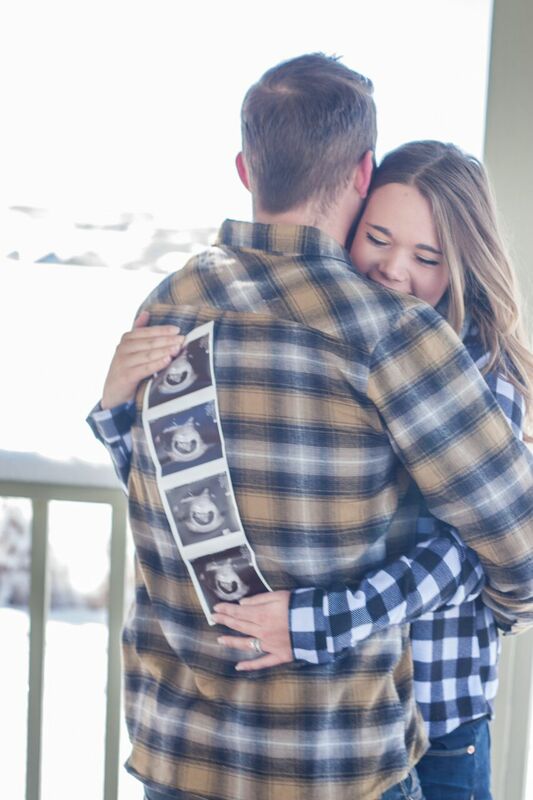 When we announced our pregnancy with Sawyer I scoured Pinterest for weeks trying to find the perfect pregnancy announcement ideas. I didn’t want anything cliche, and I wanted it to be unique and special. A picture that we could frame and love forever. 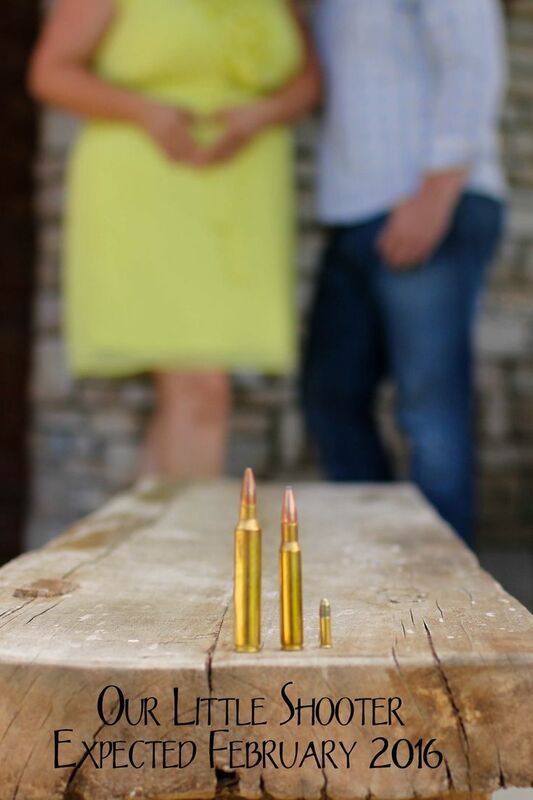 Although I did draw inspiration from Pinterest and other pregnancy announcement ideas, the image is my own and I had an incredible photographer. 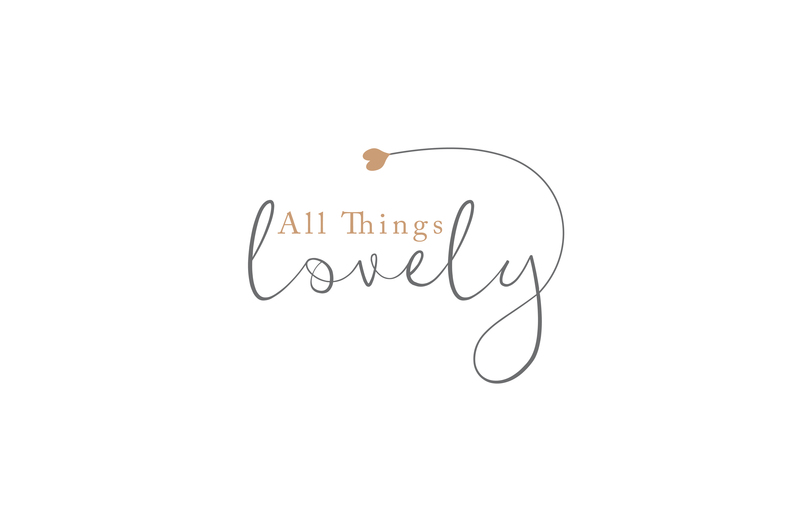 To this day it is my most popular blog post ever and it has been re-pinned on Pinterest over 27,000 times! A lot of the traffic to my blog comes from this one pin! Basically, a lot of my success as a blogger comes from my pregnancy announcement (which just goes to show that your content can make or break you! If you ever have questions about starting a blog you can always contact me). 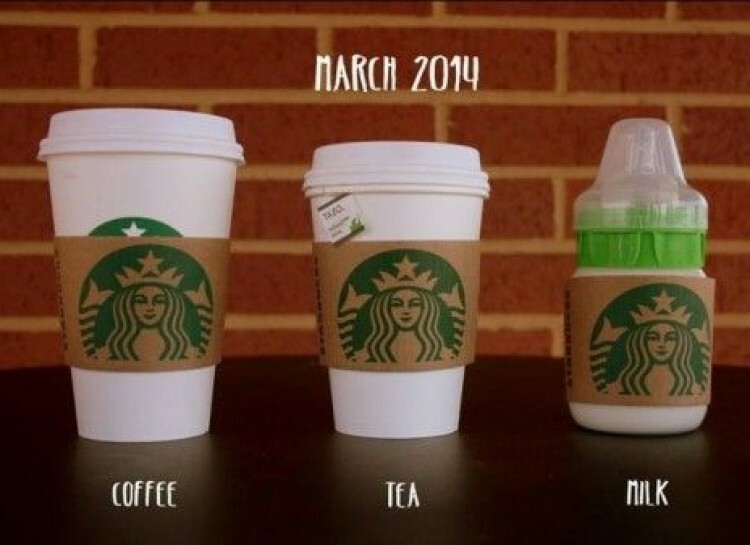 There are lots of things to consider when announcing your pregnancy. Will your significant other be involved? Will your pets be involved? Whats props will you use? What makes you and your significant other unique as a couple and how can you incorporate that? Keeping all these things in mind can help you to create an announcement that you and your partner will cherish forever. Hire an amazing photographer to capture the special moment for you, you won’t regret it! If you are local to the Denver area, we recommend Front Porch Media. They did our pregnancy announcement, Sawyer’s birth photos, our family photos, and Sawyer’s one year photos and we love them! This one gets me every time! 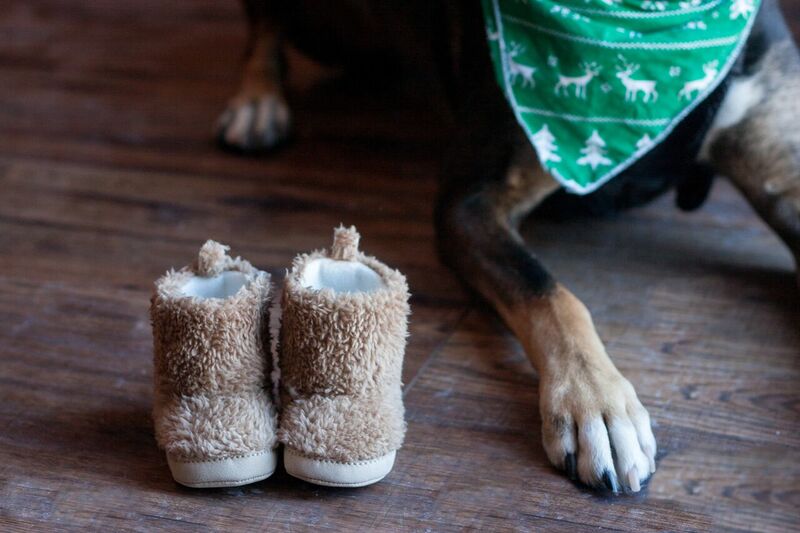 Pregnancy Announcement Ideas: Involve Your Pets! We wanted a couple of shots with Bennett. He was our baby at the time and was being given the role of big brother! I love this! 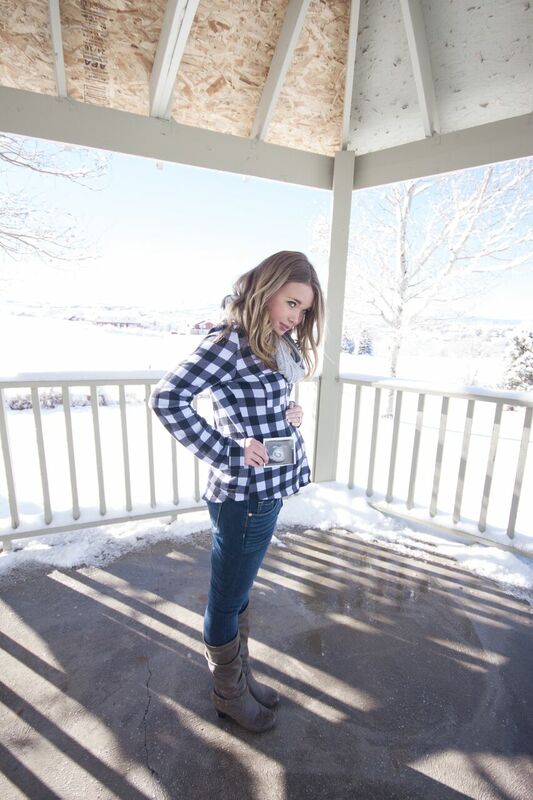 Kurtis and I love to shoot and I wish I would’ve seen something like this before we announced ours! So cute! 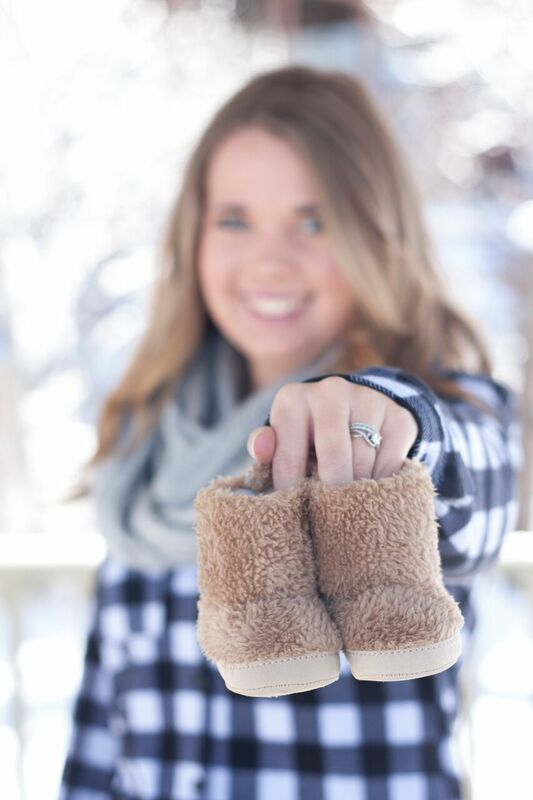 Baby shoes to announce are very popular and for a very good reason! They’re so cute! And they get the message across point blank.We did quite a few! Once again, it gets the point across, and how fun to show off the very first pictures of your little one. 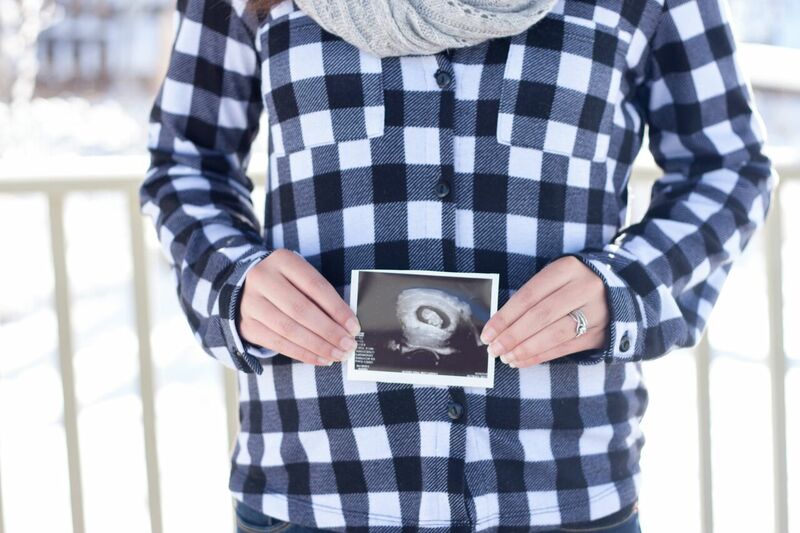 Those first ultrasound photos are so precious. Show them off! These pictures were my favorites! They showed our love and excitement about becoming new parents. Here it is! 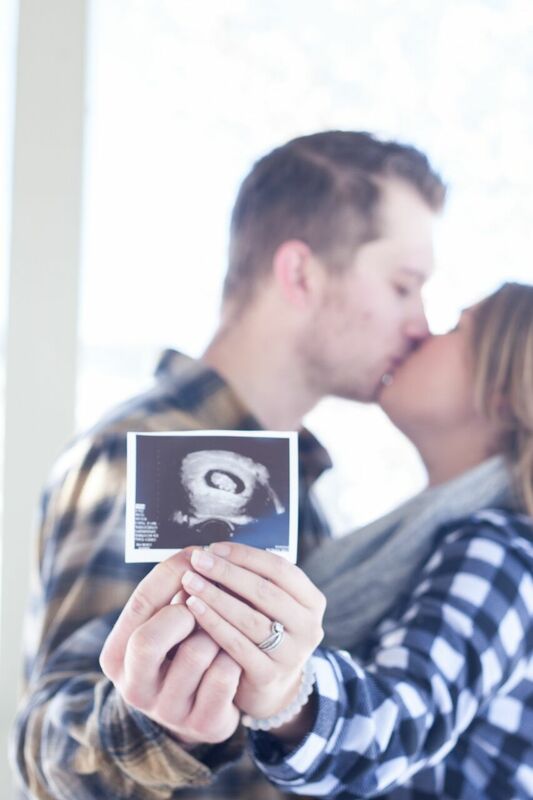 The announcement that went pinterest viral and basically made my blogging career! Ha! But all of that aside, I love this picture so, so much. It is framed in Sawyer’s room and I will treasure it forever. It just so greatly captures the love and excitement and nerves we were feeling at that moment. We owe a lot to Leah from Front Porch Media for capturing this moment. No matter how you do it make sure it is special and meaningful to you. Sharing your incredible news with your friends and family is an amazing moment. Remember it forever! i always love to hear what exact post or image makes a blogger go viral. this is so cool! 27K???? so much congrats girl. also, you looks gorgeous in those pregnancy pics! Love this post! 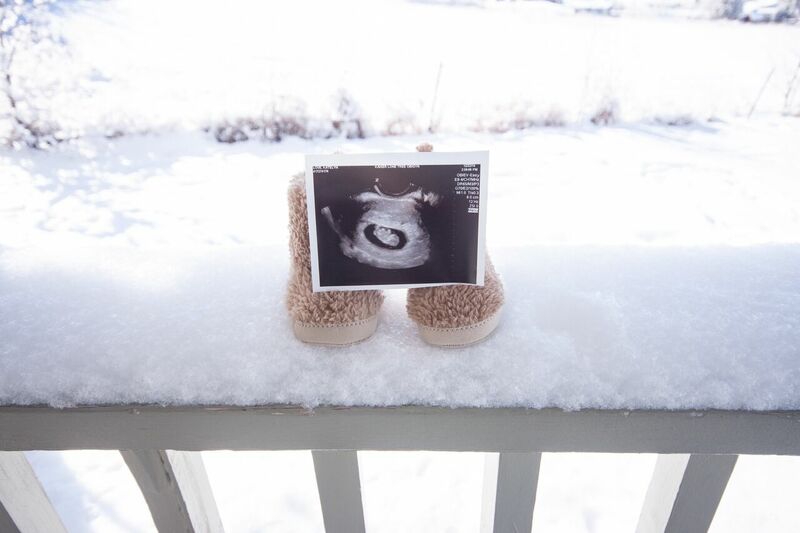 I have two kids now and I spent so much time thinking of ways to announce! So cute! I love when families incorporate doggys!! Great Ideas!! So many cute ideas! 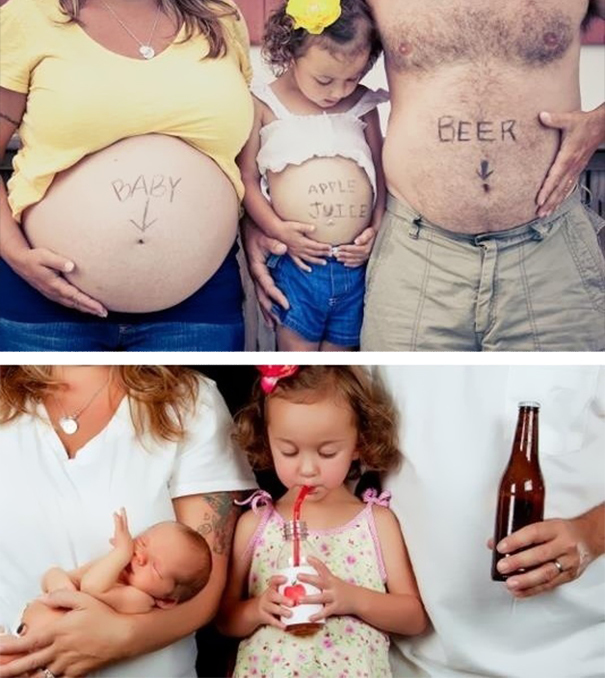 I love that first picture so much! So adorable! 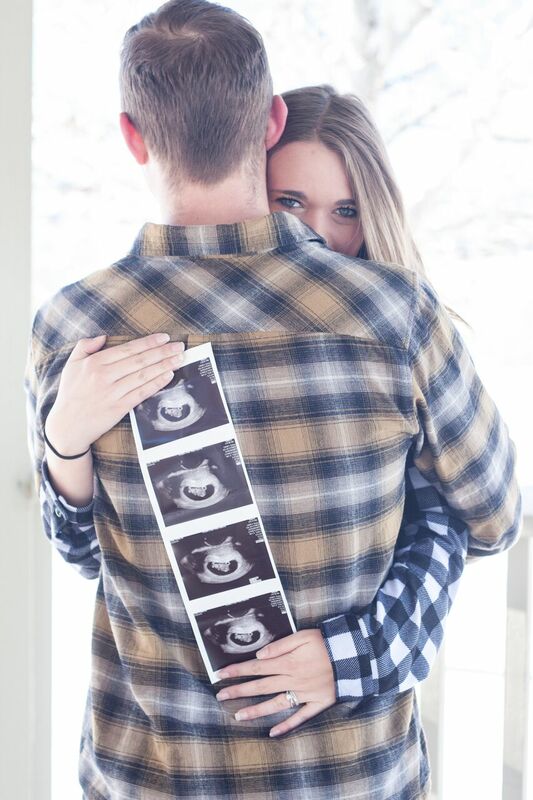 Will definitely be referring back to your post when it comes time for baby #2! I love your announcement! It’s no wonder it went viral! 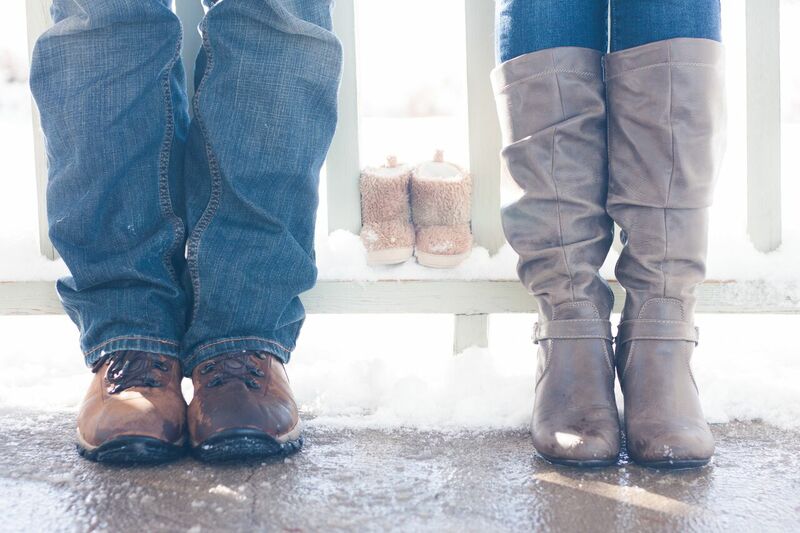 We used our dogs for ours but I’m thinking if we have another baby we’ll do something cute with our toddler! Love these ideas! 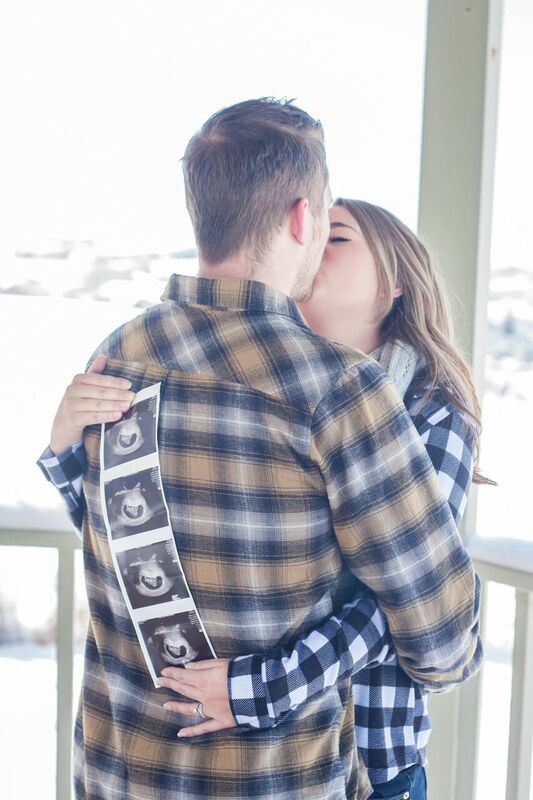 I looked and looked for the cutest pregnancy announcement. These are so cute!